Filled with pumpkin pie and Nutella and even a little whole wheat in the dough. You know, for balance and all. It made sense at the time, but I am thinking that today is not about balance in any way. It’s a day all about candy after all. So yeah, I think balance goes out the door today. With today being Halloween and all, I really did not know what to show you guys. I went back and forth on what to do. It’s kind of a weird day food wise and to be honest, I really wasn’t sure what you guys would be looking for. Sweet, savory? I don’t know. 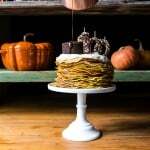 I just went ahead and skipped right on up to Thanksgiving, since it’s officially time to start talking holiday eats. YESSS. This is my favorite. I live to talk about holiday eats. They are the best. I am also feeling like I should keep this post short and sweet today since you guys have trick-or-treaters to be feeding, candy to be eating and possibly parties to attend. But let’s talk about these pop-tarts just a little. I can’t help it, I am crazy excited about them. I am not saying you have to make these cuties in place of your classic Thanksgiving pumpkin pie or anything. What I am saying is that you should be making these all month-long to get in as much pumpkin action as you can. Plus, there is Nutella involved and if you did not know, pumpkin, cinnamon and Nutella are kind of a dreamy combo. 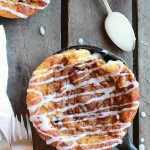 Have you guys noticed just how many recipes I am posting with cinnamon right now? I really hope not. So many that I can’t even count them up because then I would fill guilty for not showing you guys enough variety this autumn. I just can’t seem to help it, I want cinnamon on everything right now! I don’t think I can call it a problem though because cinnamon is actually SO good for you. So there, I guess I am subconsciously looking out for your health. You are so welcome. Last September (meaning September 2013) made these homemade chocolate fudge pop-tarts, which I will not lie are still my very favorite. How could they not be? Go look at them and you will understand. Anyway, ever since I made those pop-tarts I have been wanting to create another flavor. This time though I wanted the flavor to be a new one. Meaning not one Kellogg’s came up with and I re-created. Here’s the thing, I have had this idea for months. Like months and months. Think last November guys. I know, that’s a long time, but I am so excited to finally be sharing the recipe. 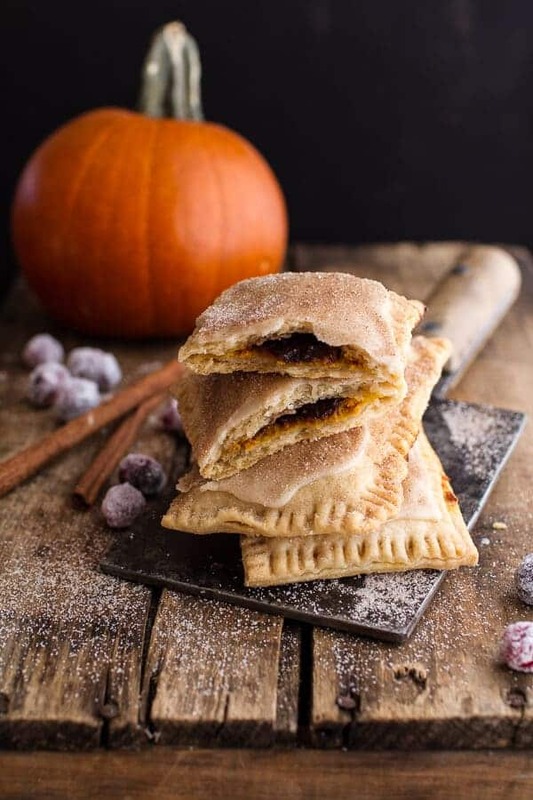 These are so good and if you are a pumpkin lover, then these pumpkin pie pop-tarts are definitely for you. I used my favorite pie crust for the pastry. Don’t freak because you have to make pie crust, this is an easy crust. And the filling is literally pumpkin + Nutella. You know what makes these the best though? The brown butter maple glaze… sprinkled with cinnamon sugar. Seriously, there are no words. 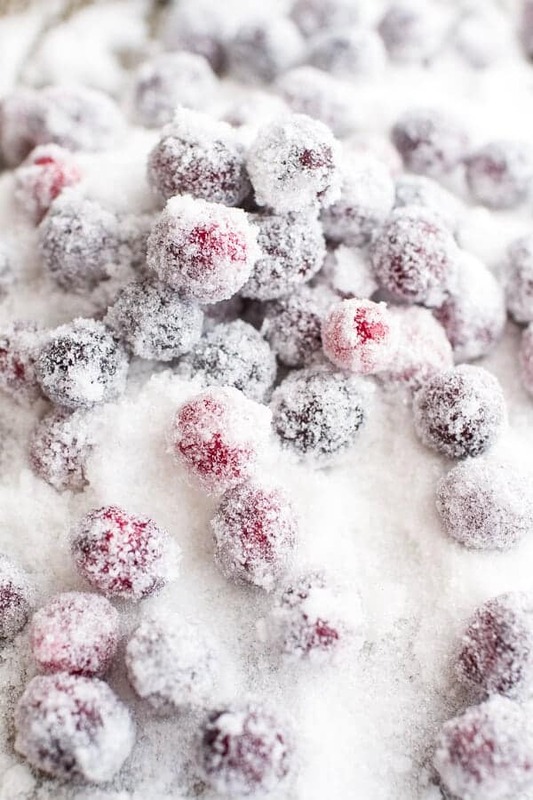 Oh, and if you want to get all fancy, you can make some sugared cranberries for snacking on the side. Plus, they make things look so pretty and festive! In a large bowl, with a pastry cutter, gradually work the butter into the flour + white whole wheat flour until it resembles coarse meal. In a small bowl, beat the egg with a fork and then pour it into the flour and butter mixture. Add 5 tablespoons of cold water, 1 tablespoon of apple cider vinegar and 1 teaspoon of salt. Stir together gently until all of the ingredients are incorporated and the dough forms a ball. Separate the dough ball into thirds. Form 3 evenly sized balls of dough and place each dough into a large Ziploc bag or wrap with plastic wrap. 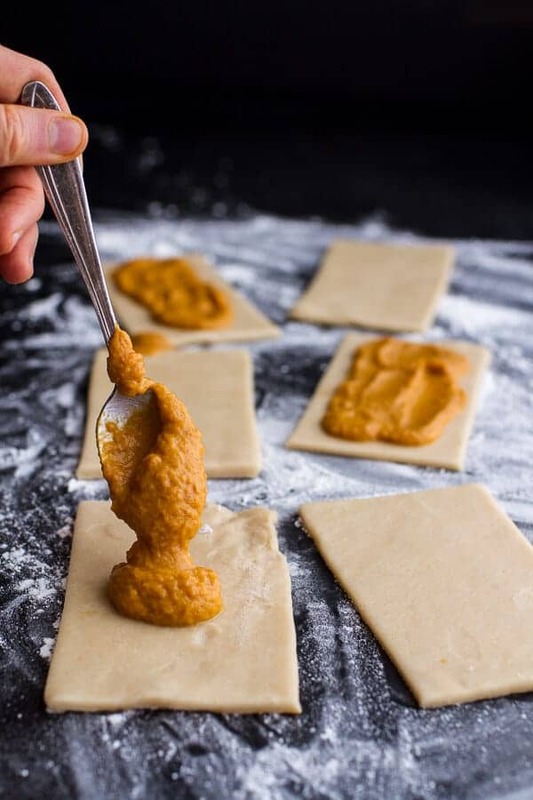 Using a rolling pin or your hands, slightly flatten each ball of dough to make rolling easier later. 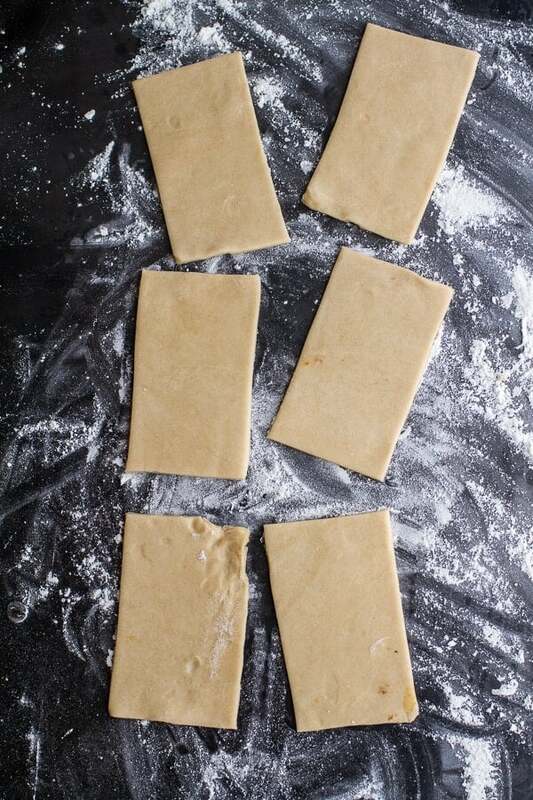 Seal the bags and place them in the fridge for 30 minutes or until you are ready to roll the dough out. In a bowl beat together the pumpkin, egg, brown sugar, cinnamon, ginger, nutmeg, salt and milk until smooth. While the pop-tarts cool make the frosting. Brown the butter on the stove and then whisk in the powdered sugar, maple syrup and vanilla. If needed, whisk in the milk to thin. If the frosting seems too thin, add 1 tablespoon powdered sugar at a time until the frosting is thick, but pourable. 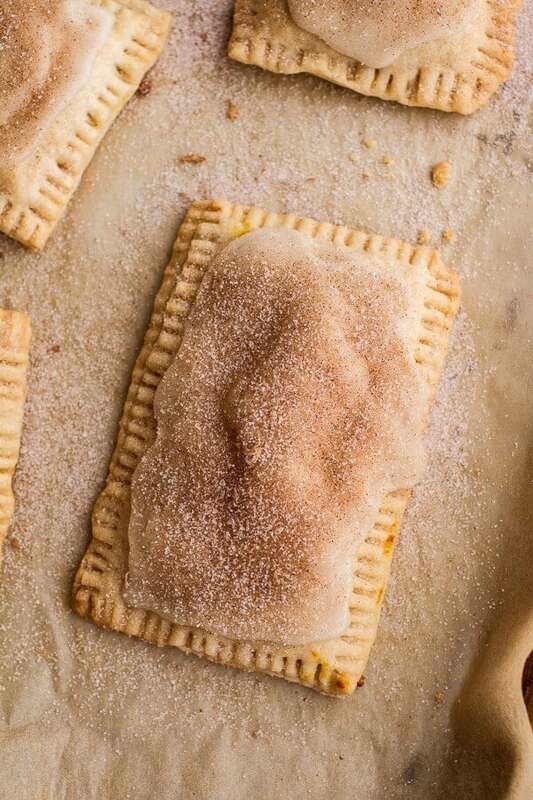 Drizzle the glaze over the cooled pop-tarts and sprinkle generously with cinnamon sugar. The glaze will harden after 5-10 minutes. Store in an airtight container for up to 4-6 days in the fridge. 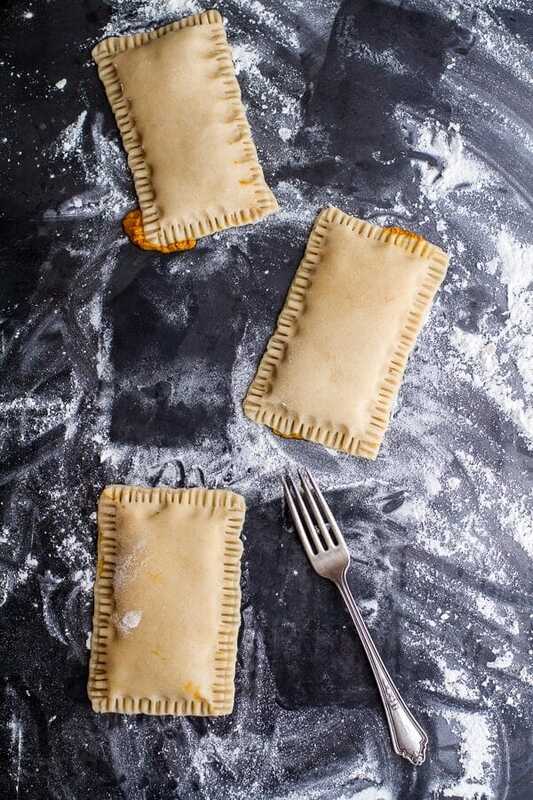 If desired these can be heated in a 350 degree oven for 3-5 minutes to warm them before eating, BUT the glaze will melt slightly on the pop-tart. *To brown butter, melt the butter over medium heat in a small sauce pot until just browned. The butter will melt, foam and froth, then begin to brown along the bottom. Whisk browned bits off of the bottom of the pan. Once the butter is browned, quickly remove from the heat. 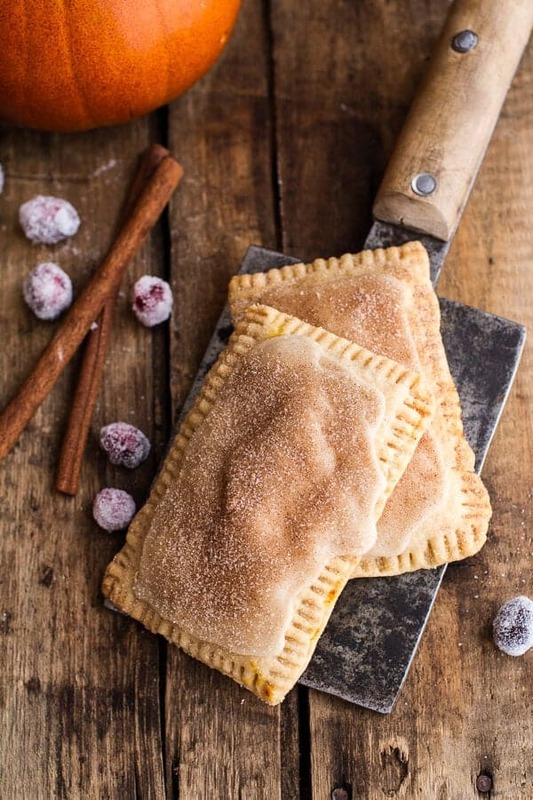 **Un-glazed pop-tarts can be frozen for up to 3 months. Thaw and then heat in the oven at 350 for 5-10 minutes. ***If you do not have a pastry blender, use two forks to blend the butter into the flour. You may also use a food processor, but I like using a pastry cutter. 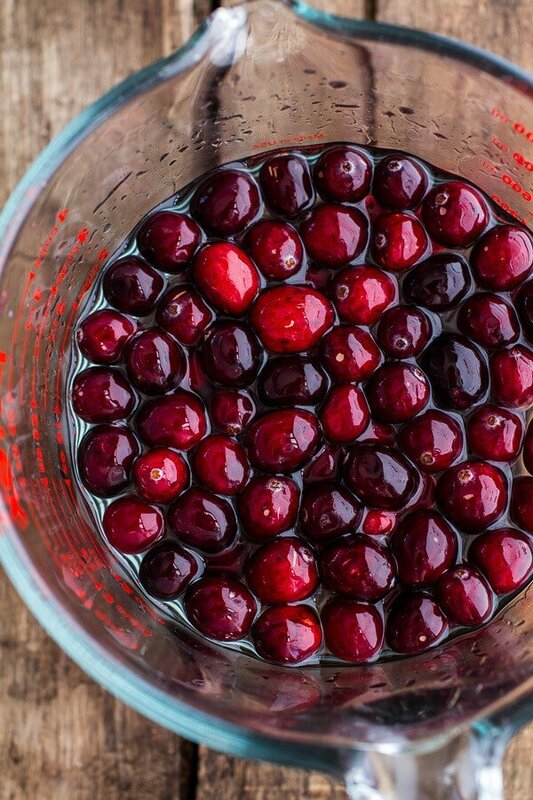 ****I used [this recipe | http://www.bakersroyale.com/basic-baking-series/sugared-cranberries/] for my sugared cranberries. Happy Halloween…. and on to Thanksgiving!! Bring on the stretchy pants! 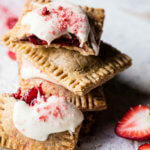 Homemade Strawberry White Chocolate Pop Tarts. 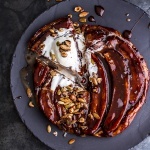 Festive indeed… and that brown butter maple glaze with cinnamon sugar sounds incredible! OH MY! We are brain twins. 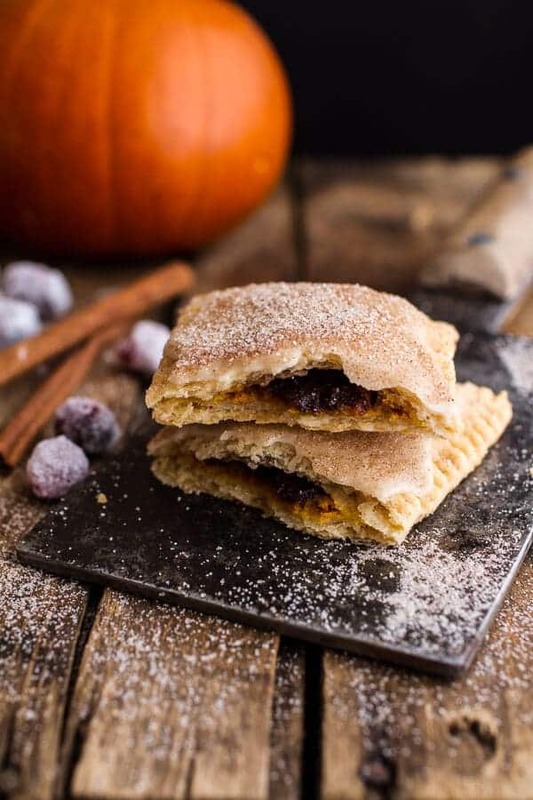 I JUST made homemade poptarts last week….just haven’t posted them! 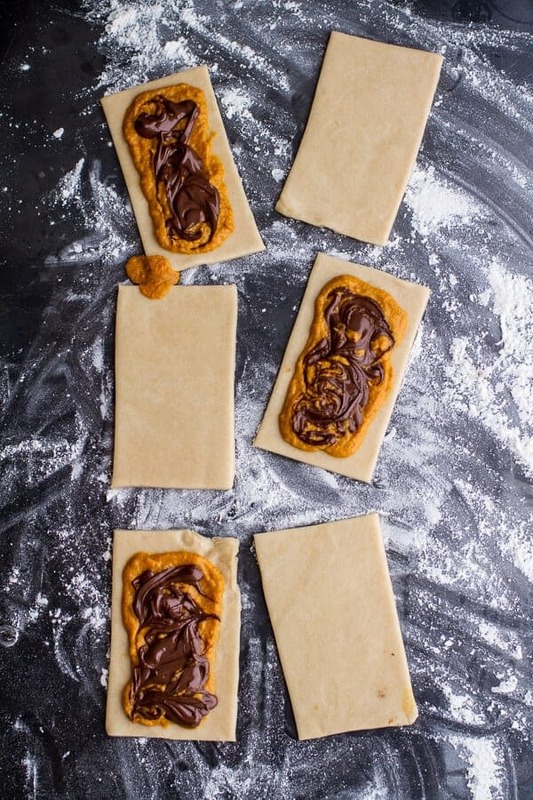 They’re so fun…just a wee bit ( a lot tedious) I am loving your pumpkin Nutella creation! And bring on the cinnamon. I put that stuff on ALL the things! Pinned! I can’t think of any better treat for Halloween. 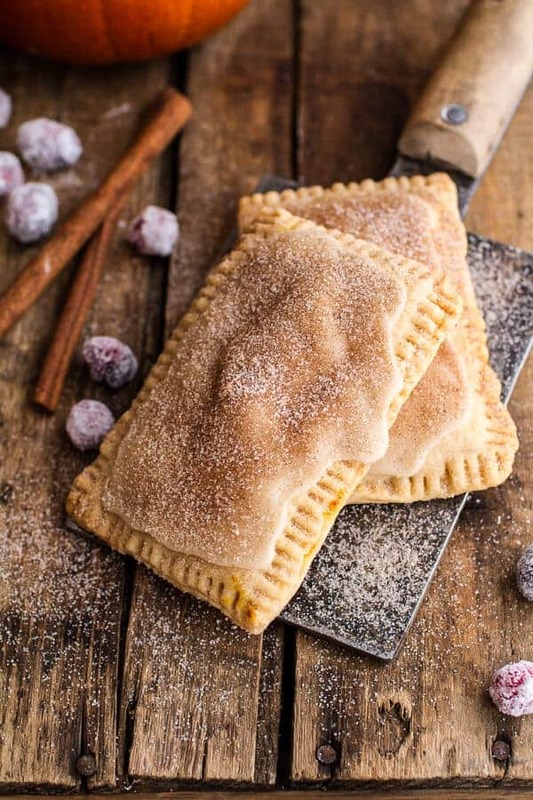 Brown Sugar Pop Tarts were always my favorite and these are just perfect to step them up a notch! Thank you Meg! Hope you had a great weekend and Happy November! These look so great, T! Perfect for Halloween AND Thanksgiving. Bring on the season of eating! Oh my, I am DROOLING over these! 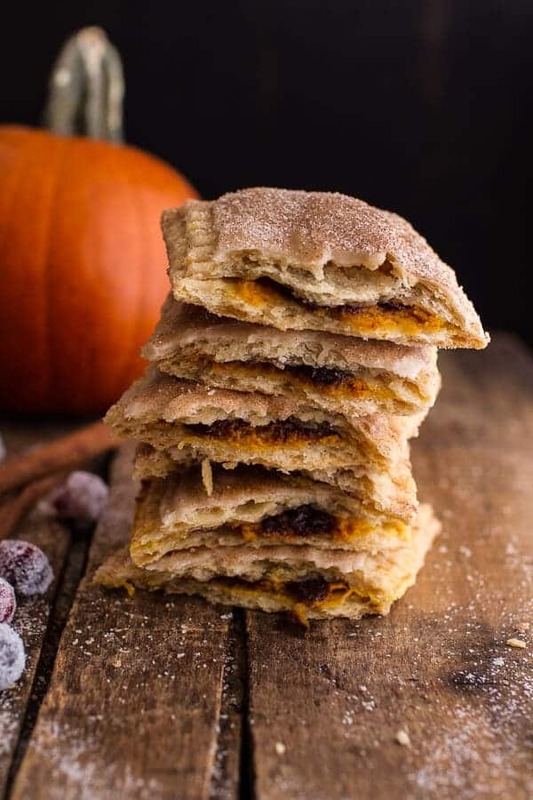 Nutella, pumpkin, and cinnamon all packed inside a poptart? Yum! This is like my childhood dream food! 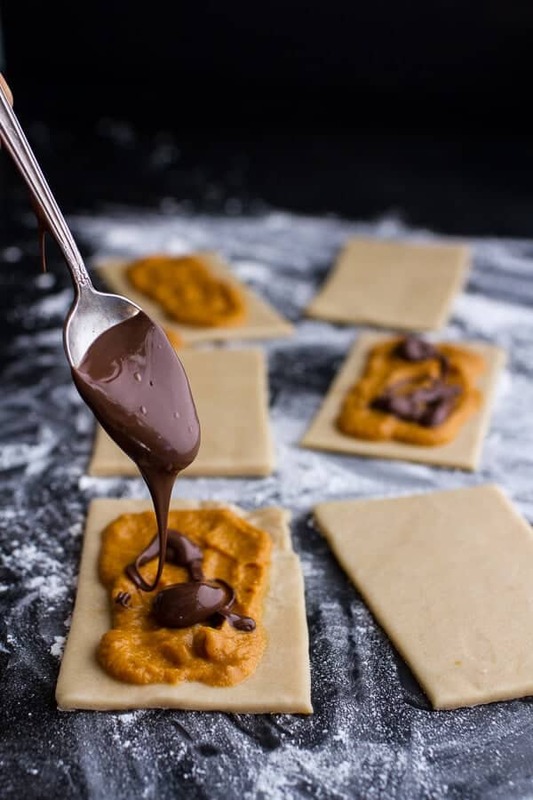 You know I love pumpkin and chocolate together, so i am all over these. And I can’t wait to make sugared cranberries soon!! I think I just might be able to conquer this dough! These look great Tieghan! Pumpkin and Nutella has to be the best fall combo EVER! These are amazing. The glaze looks to die for. Thank you. Thank you so, so much for this! Unreal recipe friend! 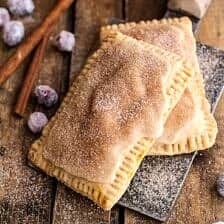 I have made whole wheat poptarts a couple times for our great granddaughter. Not too hard just takes time. It does, but I think they are so worth it. Thanks Charlotte and I hope you had a great weekend! I haven’t had pop-tarts in AGES! Like… probably 18-20 years. These look fabulous! Haha! I know, so here. Only homemade is the way to go! 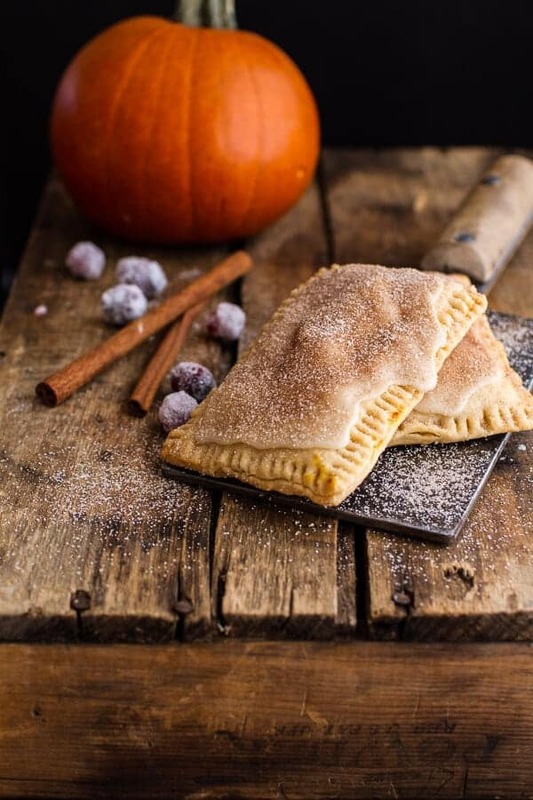 I would love to make my own Poptarts one day and these with pumpkin and Nutella look like the best choice for me. All of my favorite foods together! You did NOT put Nutella into poptarts. YUMMMMMM! Perfect for breakfast 🙂 Or really any meal. My mind is blown by the pumpkin-Nutella filling and brown butter maple glaze. These are incredible! Thanks Chineka! Hope you had a great weekend! 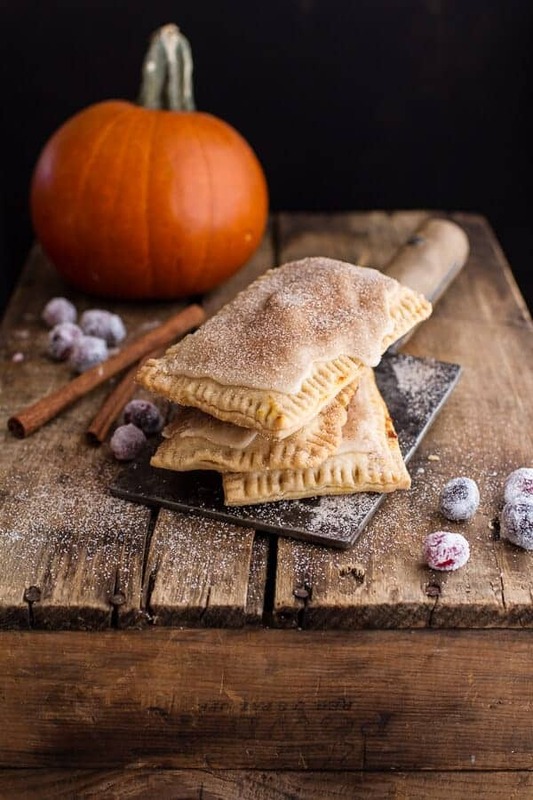 I have had pumpkin pop tarts on my to do list for forever, and these pictures definitely make me wish that I have gotten to them! I love the nutella and the glaze, though, now I won’t be able to make them without that! Thank you, Stacey!! You have to get to them soon, so good! Girl love this genius filling idea!! Thanks much! Hope you had a great Halloween! 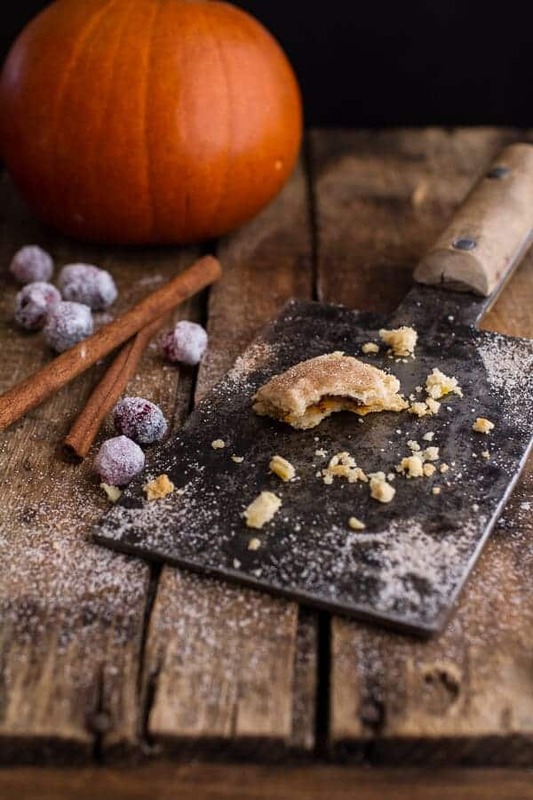 Sadly, I am not a fan of pumpkin…Any chance of one of your delicious recipes being a little less pumpkin-y? They all look sooooo good…it’s just the pumpkin that I unfortunately don’t like, which i get really sad about, because otherwise I would make, like, every single thing you have posted recently. I wouldn’t eat a pop tart but l would eat one of these. Haha! Same here. I have not had a store bought pop-tart since probably first grade. Ha! Happy Belated Halloween! I WISH I was eating these on Halloween – all of those flavors sound so amazing. And your photos, Tieghan – they’re GORGEOUS, as always. You make me wish I could print these out on my printer and eat them. No worries, these things happen. I baked them at 400º. I did some detective work and found another recipe on your site for chocolate pop-tarts and the baking temp for them was 400º, so I went with that. They were freaking AH-MAZEBALLS!!!!! I wish I could post a pic. I will tag you on instagram when I post. The recipe and photos look great. SO happy you love these!! Thanks Abby!! I made these and your Chocolate Bourbon Pecan Pie cupcakes for Thanksgiving desserts. Holy moly….both were absolutely phenomenal. I am not the strongest pastry home cook but the pop tarts turned out so beautifully flaky and tender. I cannot wait to make them again. Such great recipes! Oh, Yum! 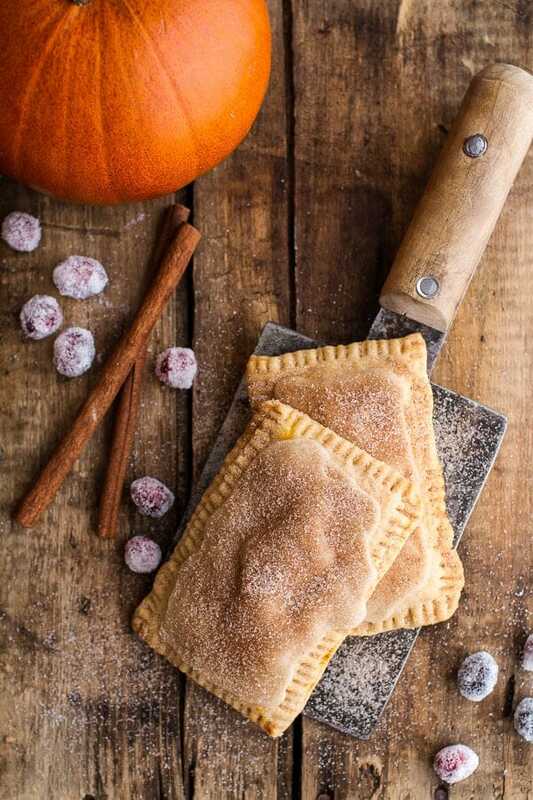 I love pop tarts and Nutella and pumpkin! Wow! I want these now! wow these were great! I don’t have a sweet tooth but loved them. I made an apple pastry filling and homemade nutella, it worked well. Thanks for this one, I will make it again. So happy you loved the pop-tarts! Thanks!!! I’ve made these before and absolutely adore them!! Do you think that using 1-to-1 gluten free flour would work as a sub for the other flours you used for the crust? Thanks so much!! Can’t wait to make these again! I am not familiar with gf flours, but I think it would be just fine. Hope that helps and let me know if you have other questions. Thank you! !